The best perfume I have ever found ..Love Love Love it ! Doesn’t disappoint. Guerlain's Aqua Allegoria derives it's greatest asset in not being like other scents. It belongs to the citrus group but has a slightly bitter bite to it as an under tone. Unusual with a great boon in not to smell like everyone else in the office elevator. Makes people's heads turn around. Who is wearing that scent? 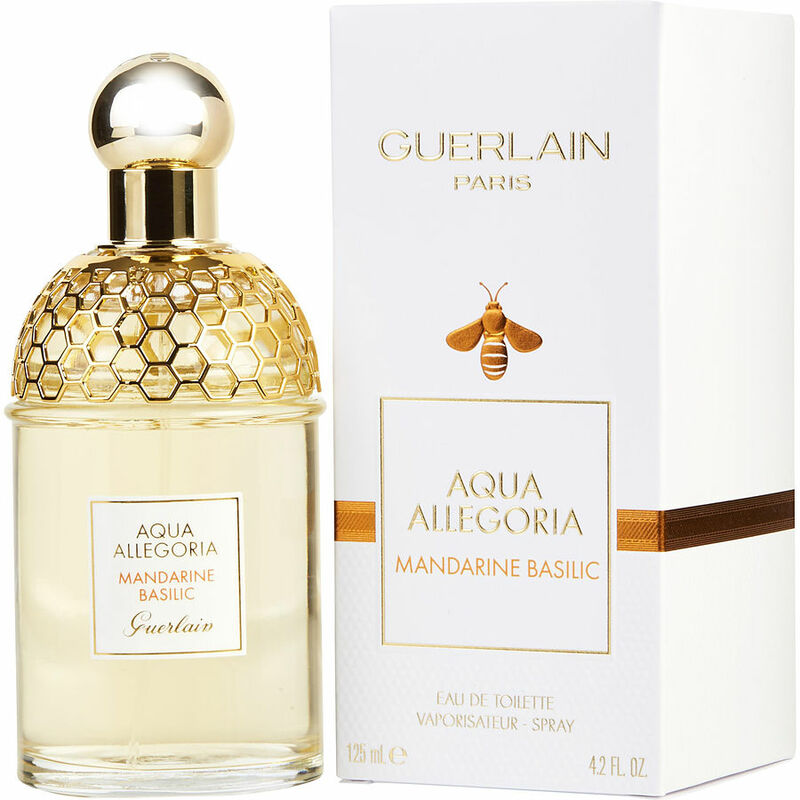 Got introduced to this Guerlain Agua Allegoria Mandarine Basic while in "France" at the Disney World EPCOT World Showcase. I liked the entire Aqua Allegoria line but settled on the happy fragrance that gave such a pleasant mood lift with its heady orange blossomesque loveliness. I'm on my 4th bottle. Guerlain Basilic Mandarine I first tried this delicious fragrance when my husband and I were in Vienna, Austria. We were staying at the Ritz-Carlton. The hotel lounge had two bottles of fragrance for us to sample, one of them being this, and the other being the Guerlain mint. This is the fragrance on which I receive the most compliments. It is clean, orangey, and delightful--not in the least offensive. It is appropriate for anyone, anytime.